City Nights Hospitality is committed to providing an experience where luxury meets comfort, product meets quality and service meets kindness. Every City Nights Hospitality location is designed to be a hybrid lounge and event venue that provides a uniquely transitional, entertaining atmosphere, set to impress the most refined professionals as well as the most sophisticated late-night and weekend social celebrators. Every detail, from the venue’s lighting and interior design to the progressive food menu, invites a refreshing and all-encompassing approach to upscale cocktailing, dining and entertaining. Ascent Lounge, by City Nights Hospitality, introduces elevated nightlife with stunning city views, premium cocktails and cuisine, exceptional service and elegant, contemporary design by Jeffrey Beers. 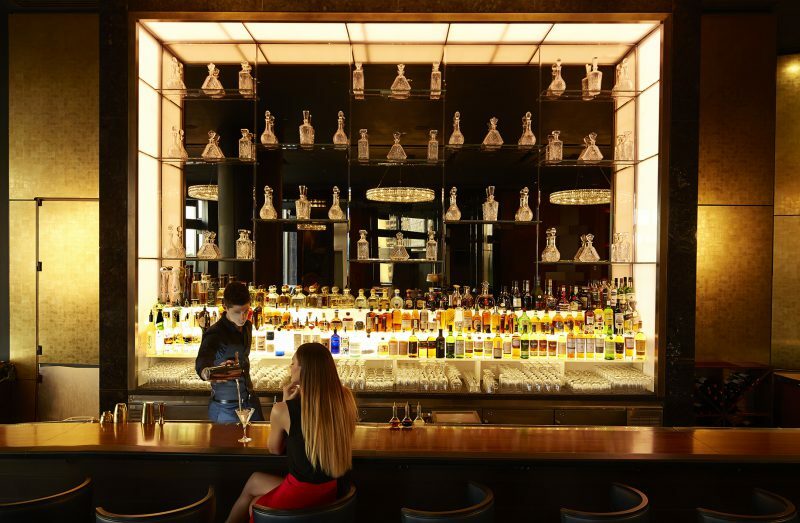 The venue is the newest member of The Restaurant and Bar Collection in The Shops at Columbus Circle at one of New York’s most iconic locations, Time Warner Center. Ascent Lounge is the latest concept creation by nightlife innovators, Brian and Carrie Packin. 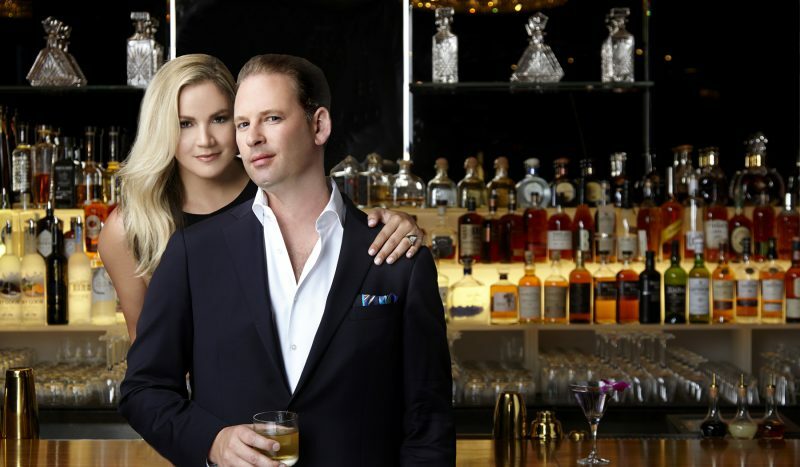 In 2009, the power couple along with financial partners Dave and Lori Nader, launched City Nights Hospitality and its flagship location, 48 Lounge, within Rockefeller Center’s McGraw Hill Building. In its first year, 48 Lounge was awarded the Zagat Award of Excellence. City Nights Hospitality’s success and numerous accolades can be directly attributed to Brian’s invaluable experience within up-market nightlife and dining, as well as his unwavering high standards for product and service quality. In addition, Carrie’s poise and creative aptitude for production, marketing and aesthetics are the driving force behind the flourishing brand. Together their extensive network within the entertainment, sports and hospitality industries have all helped attract its consistently trendsetting, sophisticated and discerning clientele. Prior to the renovation and launch of Ascent Lounge, City Nights Hospitality successfully created and operated Parkview Lounge in the space, hosting experiences, events and film premieres for such notables as Tom Hanks and Rita Wilson, Blake Lively, Helen Mirren, Amy Schumer, Shaquille O’Neal and Derek Jeter to name a few, as well as high end brands and companies like Louis Vuitton Moet Hennessy, Wine Spectator, Sony Pictures, Peggy Siegal Company, NBC Universal and Fox Entertainment. Looking to reimagine the interior design and enhance the concept, development of the Premiere Ascent Lounge ensued. 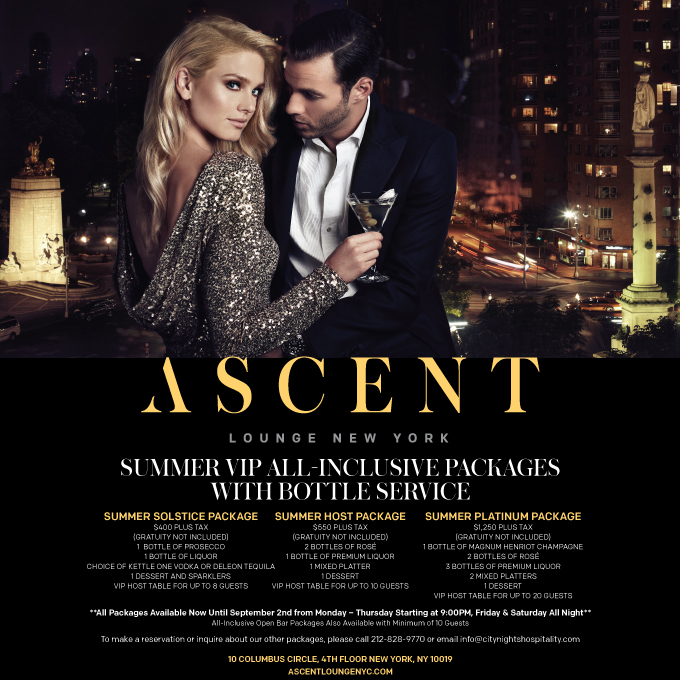 Ascent Lounge will also play host to extravagant occasions for Fortune 100 companies, luxury brand launches and VIP Premieres, as well as, society weddings and private social events. Designed by renowned firm, Jeffrey Beers International, the 5,500 square foot lounge maintains an air of elegance, which appeals to a wide audience, while still being a multi-faceted venue for a variety of events. Arriving guests will immediately be inspired by a portal of geometric design and lighting created by a statement screen and perfectly placed ceiling coffers and crystal chandeliers. A neutral palette with vibrant pops of rich color set an alluring mood for any occasion and mirrored panels throughout reflect the park & city scape, inviting them inside the lounge. Luxurious elements were added to the space, such as beautifully stitched banquettes and a custom mirrored back bar with floating shelves featuring a dazzling array of high-end spirits. A raised platform with wrap around banquets create elevated seating with an exclusive view of the lounge atmosphere and offers direct access to the bar.